Jerry Janda (PAINKILLER’s writer/producer/co-star) shares some thoughts about his directorial debut in this latest blog post about KAISHAKUNIN (a short film that he also wrote and is co-producing). KAISHAKUNIN, a samurai ghost story, is the latest short film from Jerry Janda, author, producer, and co-star of PAINKILLER. Jerry wrote the script for KAISHAKUNIN, and this film will be his directorial debut. He is producing the short with the award-winning filmmakers from Small Basket Studios. Principal photography for KAISHAKUNIN begins on June 11. To get updates about KAISHAKUNIN, please check out the Small Basket Studios website. Check out the full review on the Gruesome Magazine site. In this interview from the NYC Horror Film Festival, actress Kelly Rae LeGault talks about working on the film, bringing her character to life, and more. Learn all about the collaboration and creativity that made PAINKILLER possible! 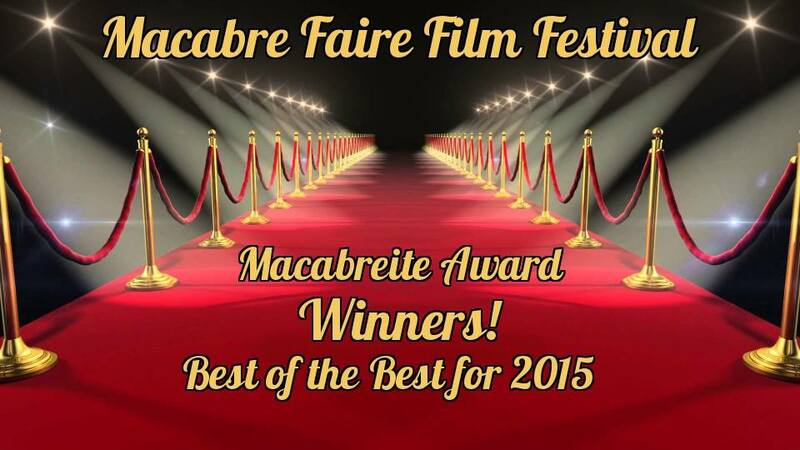 We’re happy to announce that PAINKILLER has received the Macabreite Award for the best sci-fi film of 2015! The cast and crew will be honored on Saturday, January 16, during a red-carpet gala at the Macabre Faire Film Festival in Hauppauge, New York. To learn more, please visit the festival’s Web site or Facebook page. Jerry Janda — PAINKILLER’s writer, producer, and co-star — recently spoke to Rogue Cinema about his experiences working on the film. He also talked about his upcoming projects.